We’ve got a stellar round-up of what went on this week in the world of digital. Tequila in AR, dancing hotdogs for brands everywhere, a VR love experience, city-wide facial recognition and KFC’s latest and wackiest marketing stunt. Patrón Tequila is jumping on the AR hype train with an app that brings their hacienda into your world. Speaking of which, Snapchat is also making the most of AR with a big announcement that gives brands everywhere a unique offering. Plus, VR explores how communication contributes to love, Moscow deploys facial recognition across the entire city, and Colonel Sanders takes over a GPS… in a cassette tape. How? Proceed forward. Your destination is below. A dash of salt. A shot of tequila. A bite of lemon or lime. Everybody knows the steps to take when drinking tequila, but what about the steps that go into making it? 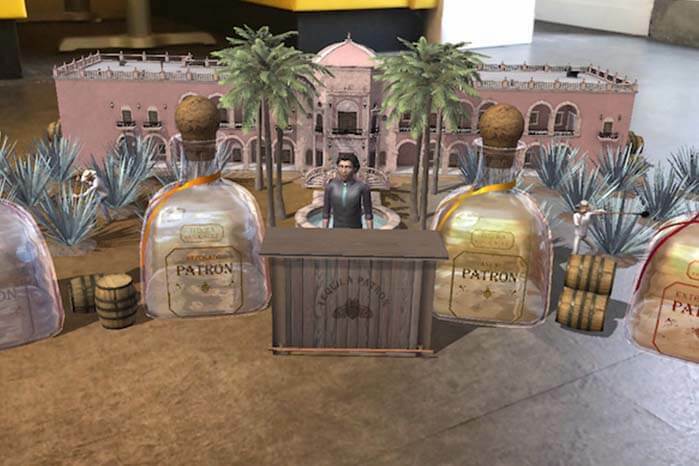 Tequila maker Patrón is turning to augmented reality to inform consumers about the different liquors they offer and to teach them how they make it. The new app is called “The Patrón Experience” and brings a little virtual hacienda into your world. With Apple’s ARKit, the AR app projects the whole experience on any flat surface. Little agave plants, field workers, and bottles of Patrón tequila surround a virtual bartender who explains their unique aging process and more. Although not necessarily practical, it’s a fun idea that, according to Patrón’s global chief marketing officer “will now enable consumers to truly make the experience at Hacienda Patrón their own.” And hey, it’s not every day you can bring tequila to your desk! 2. Dancing Hotdogs For Everyone! Who knew how influential a dancing hotdog would be? Well, considering it was viewed more than 2 billion times, the AR lens made quite a significant impression. Building upon that success, Snapchat is now letting brands create their own interactive 3D objects in augmented reality. By purchasing Sponsored 3D World Lenses, companies can drop animated branded objects into their snaps for use in large scale and audience targeted ads. With this announcement, Snap stocks have steadily risen, proving the power and interest in both augmented reality and the ability to customize features. In fact, Warner Bros has already made use of the update for Blade Runner 2045 by putting a flying “Spinner” car into action. Only time will tell if this move will be enough to set Snapchat apart from its social media competitors Facebook and Instagram. A new experimental VR experience is testing whether or not love can be found in the virtual world. 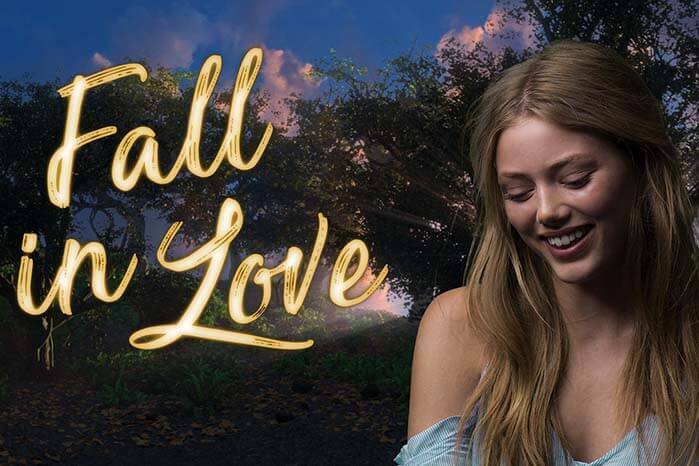 A collaboration between Oculus, VR Tool of America and director Kevin Cornish, Fall in Love VR explores how the act of conversation leads people to fall in love with one another. Inspired by the New York Times article, “The 36 Questions That Lead To Love,” the experience is based around a participant asking questions from provided flash cards to actor-avatars. Although the conversation is truly only one-sided, the avatars are able to respond in natural time with artificially intelligent natural language processing to create an interactive experience. Nobody has fallen head over heels yet, but sparks have reportedly been felt. We’re getting closer to a world of constant monitoring. Moscow has officially deployed facial recognition technology city-wide, and it has already assisted with six arrests. By connecting to the federal list of wanted criminals over a couple of a months, they were able to catch people who hadn’t been detainable for several years. This new system taps into Moscow’s impressive network of 160,000 CCTV cameras. However, although there is a network of so many cameras, many don’t produce a quality good enough for usable, reliable images. There is still work to be done before spotting criminals becomes completely autonomous, but perhaps we are closer to a Person of Interest world than we think. KFC is at it again! You can now get to where you need to go with Colonel Sanders guiding you along… sort of. The brand known for its advertising stunts and digital marketing gimmicks has released the “world’s first-ever GPS cassette” that offers recorded audio of direction from Louisville, Kentucky (where KFC’s headquarters is) to Marietta, Georgia (where their famous animatronic 56 foot tall Big Chicken is). The recording is hilarious featuring funny quips, satirical remarks, and road-trip sing-a-longs. Have a listen here.